Decorative Iron Inc. is a manufacturer of high quality architectural iron products for residential and commercial buildings. We specialize in custom railings, fencing, pedestrian and driveway gates. 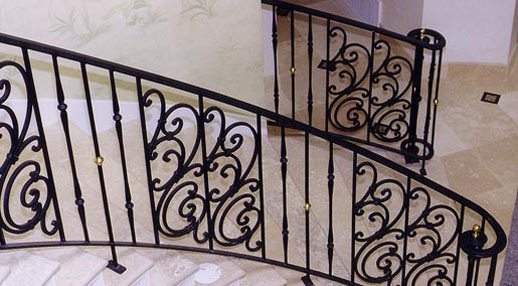 The beauty of iron or steel work is the unlimited design possibilities. We can produce creations ranging from simple but elegant to highly ornate, hand forged systems. Designs evolve from architects, contractors and homeowners working closely with Decorative Iron Inc.
With 31 years of experience it makes the design process easy and enjoyable.